Perfect for dunking into a smooth and creamy cheese sauce or a fresh and zesty salsa, these Martin's Potato Chips yellow round corn tortilla chips are baked to crispy, crunchy perfection! Martin's Potato Chips brings you hearty and tasty tortilla chips with less fat and convenient packaging for your concession stand, snack bar, or restaurant. You'll get multiple servings out of this 1 lb. bag, and you'll be able to create popular appetizers like loaded nachos. Pile on cheese, ground beef, sour cream, guacamole, and jalapenos for the whole table to share. Or, you can simply serve these tortilla chips in a family-size bowl along with your signature salsa. 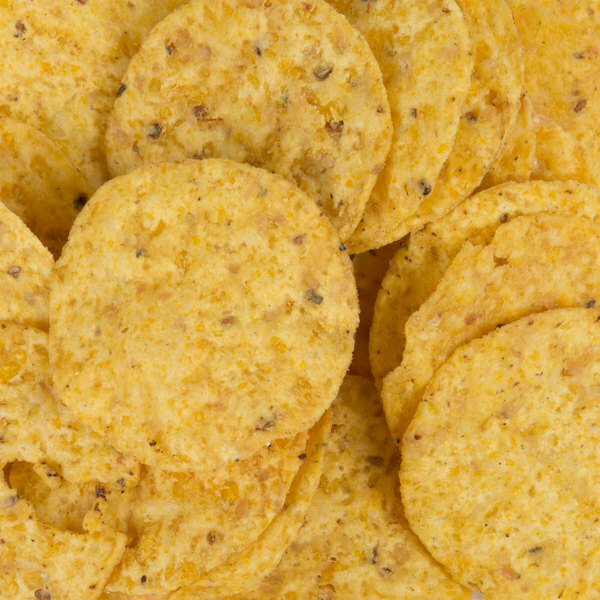 Scoop out a portion of these yellow round tortilla chips to serve alongside soups, paninis, or southwestern-flavored wraps, or use it as a base to your taco salads. 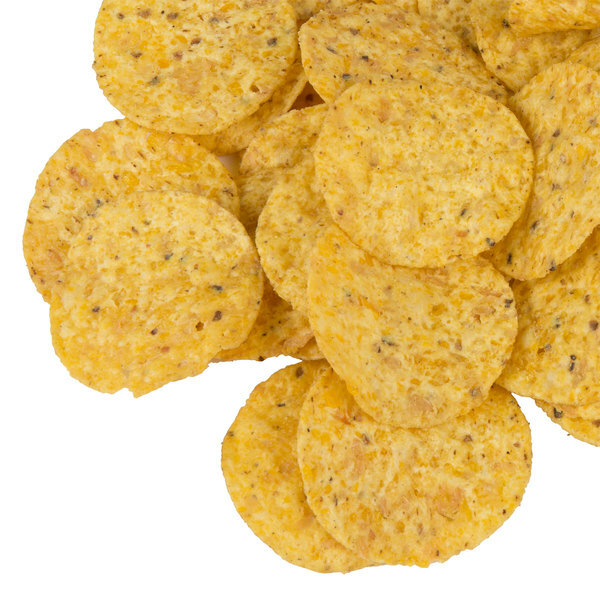 Round and yellow, with a slightly salty taste your customers love, these corn chips make the perfect addition to your snack bar or concession stand. Portion them out onto nacho trays and serve them at sporting events, carnivals, or on your late night menu. 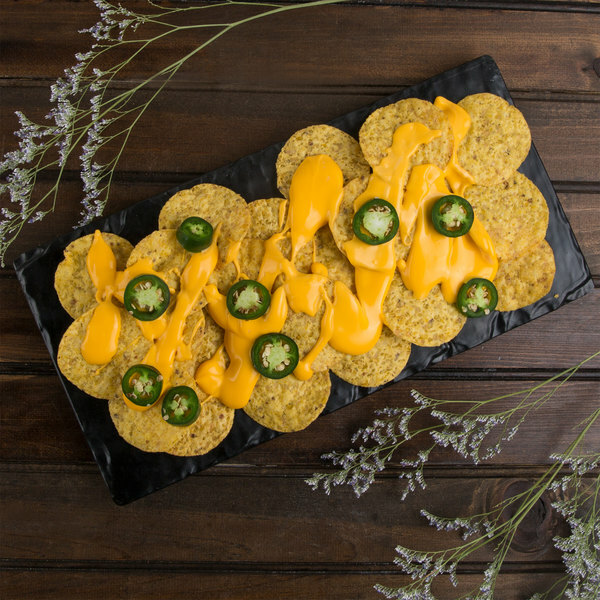 No matter how many ways you choose to serve them, these versatile yellow round corn tortilla chips are sure to satisfy all of your guests' snacking needs! Martin's Potato Chips is located in south central Pennsylvania, which is considered by many to be the snack food capital of the world. Not only does Martin's believe in producing high quality snack foods that are fun to eat, they're committed to being responsible stewards of the Earth. 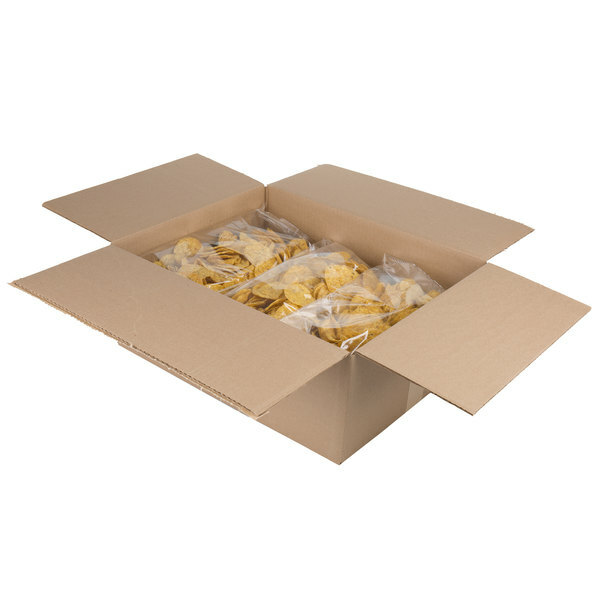 The leftover waste from production is reused as animal feed, soil amendment, or fertilizer while used cooking oil is sent to a rendering plant for reuse in other products. Furthermore, their plant facility is a model of efficiency. This includes many energy saving features such as the ability to using the heat from the fryers to heat the building in the winter, motion sensor lights, and use of clean burning fuels to heat the fryers. When you buy a Martin's product, not only will you receive a flavor packed snack food, you'll have bought from a company committed to responsible usage of the Earth's resources.